When English Harry Potter fan Kathryn Burnett revealed her 2016 Potter-themed Christmas tree, the internet’s Rowling fans could not contain their excitement. “Happiness can be found even in the darkest of times, if one only remembers to turn on the ‘Christmas Lights'” 29-year-old Kathryn captioned the album of festive snaps she shared on Facebook last week. The shots quickly went viral and it’s easy to see why. 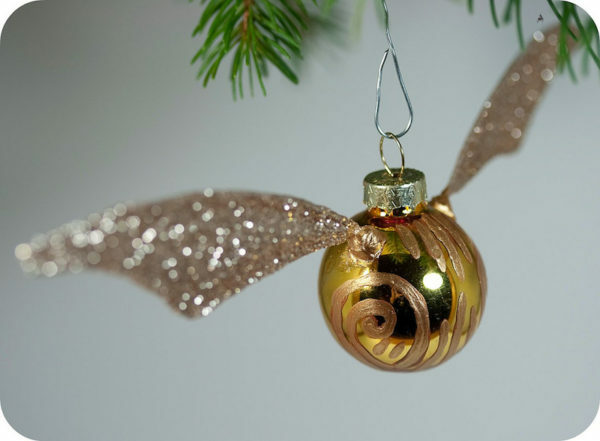 Kathryn’s tree is prettily dotted with a sparkling array of Potter decorations and references and the HP enthusiast used last year as a warm-up for this year’s remarkable festive spectacle. “This is the second year I’ve done the tree, but this year I added more,” Kathryn told BuzzFeed. Kathryn took inspiration for her Sorting-Hat-topped tree from a rather large collection of memorabilia accrued over eleven visits to Warner Bros studios. “I have a good collection of all things Harry Potter and I was sitting one day thinking it’s a shame I keep them all in boxes in a cupboard. Then I thought, ‘Wouldn’t it be fun to have a HP-themed tree?’” Kathryn explained. We’re certain any Potter fan worth their wand would be delighted by Kathryn’s efforts and the final result is a kind of real-life iSpy of souvenirs and keepsakes. Kathryn told BuzzFeed that the tree took around eight hours to put together. “My friends thought I was crazy when I told them what I was going to do, but I went ahead with it,” the Potter fan said. An album of shots of this ‘Harry Christmas 2016’ spectacle has been shared widely across Facebook by excited Potter enthusiasts, much to Kathryn’s surprise. “I really didn’t expect the response it has had. To me it’s just my little tree and display with everything I love on it,” she said. 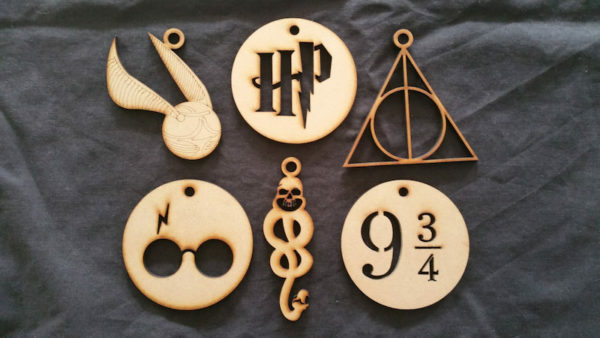 If you’re keen to emulate Kathryn’s tree, there are a few ways to gather your Harry Potter ornaments. 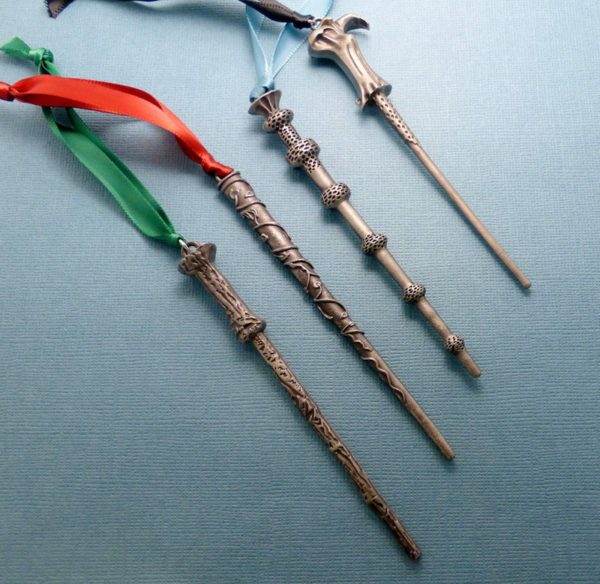 Etsy is chock-full of ace Potter options, and a poke around Pinterest will herald some useful tutorials to get you DIY-ing in Harry Potter style, too!